A sweatshirt made for crew members of the renowned visual effects company Industrial Light and Magic who worked on Richard Marquand's 1983 sci-fi classic, Star Wars - Ep VI - Return of the Jedi. 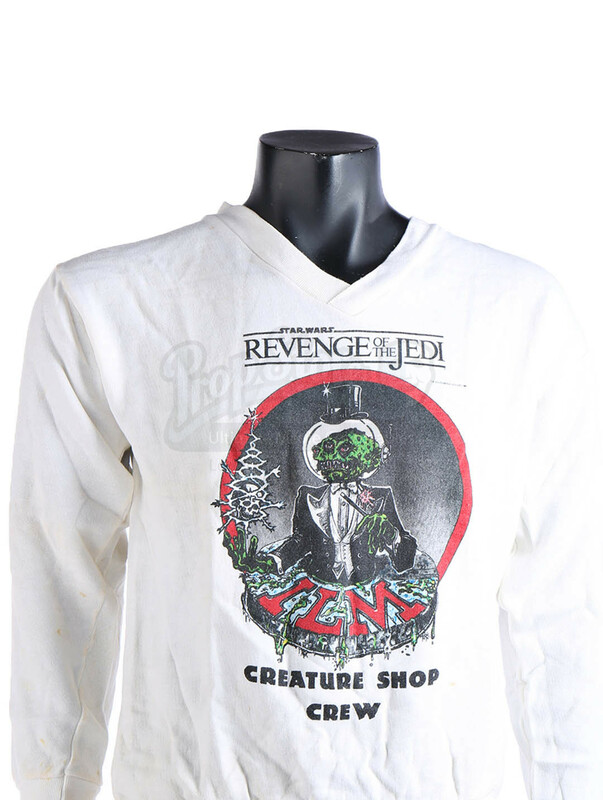 The white sweatshirt features a monster in place of the company's iconic magician logo on the front as well as the film's early title of "Revenge of the Jedi." 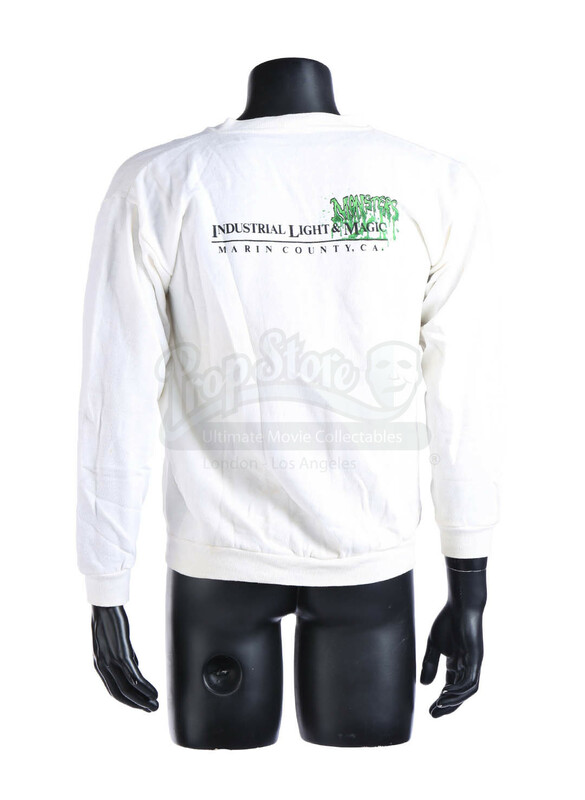 Gifted to the film's Creature Shop crew, the back of the shirt also has the full name of the company, reading "Industrial Light," but the word "Magic" is replaced by "Monsters." The sweatshirt is made of a polyester-cotton blend and is a size extra-large (XL). The shirt shows some signs of wear and discoloration from use and age, but it remains in good overall condition.